The Speaker of the House, Representative Kurt Daudt, and the President of the Senate, Senator Tom Bakk, along with the Governor, are negotiating a final budget agreement in private, but there is no deal yet. They worked last night until about 10:30 p.m. at the Governor’s residence. 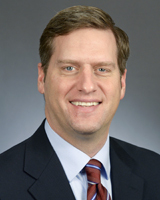 Speaker Daudt: “We’re still working. We’ve got a ways to go yet.” Negotiations resumed this morning. Meanwhile, ten Omnibus Education Bill conference committee members are waiting on that deal before they decide what the final education bill will look like. Along with the education finances is this critical decision: whether the final education legislation will protect children by requiring schools to provide separate bathroom, shower and locker room facilities between biological boys and biological girls. Right now, two of the largest school districts in the state, Minneapolis and St. Paul, have already adopted policies that put students at great risk allowing students to “self-select” a private facility. In the secret negotiations of the legislative leaders, deals are cut. Some provisions are negotiable. Others are non-negotiable. In the grand scheme of things, Speaker Daudt and the GOP majority must decide what provisions they will defend in exchange for what they will give up. The answer to that question is: it will survive only if the Student Physical Privace language is a non-negotiable priority for the Republican-controlled House of Representatives. In leadership negotiations, Republicans can stand their ground and refuse to remove this provision, but they may have to sacrifice something else to get the hostile Democrat Senate to leave the Student Physical Privacy in place. What will they do? Violating student physical privacy is far more damaging and much more difficult to remedy once implemented than most other decisions they will make! Will the safety of our students be a top priority for the Republicans? is the TOP education provision! Make it a TOP negotiating item!